So much news to share! And more deadlines approaching!! Join or Renew Membership Dues are $25 for regular membership; $10 for student membership; $15 for non-voting associate membership. Pay your dues by clicking this link. Congratulations to George Thurlow of Gulfport, who won the December $100 gift card drawing! All members in good standing as of midnight, January 31st will be eligible for the next gift card drawing. The DPCF will hold an election for officers and board members at our annual business meeting and conference on March 9, 2019 in Tampa. The Nominating Committee will be announced tomorrow and an email will go out calling for nominations. You can purchase your conference ticket here. Note: The 45-day rule applies to the election, but all voting members can participate in the business meeting. Meetings are open to all registered Democrats, provided we have space available. However, tickets are required to attend the afternoon conference. Please contact me if you need a scholarship. Hotel Information - I'm finalizing the hotel block today. Unfortunately we were not able to get the price below $139 for double occupancy because it's high season and spring training in Tampa (who knew?) The link to make reservations will be added to Eventbrite as soon as we have the information. Medicaid Expansion Petition Drive Just when you thought constitutional amendments had gone away, there are more coming! When you have a legislature that won't do its job, citizen initiatives must be undertaken. One of the amendments that we support is for Medicaid Expansion. You can read about the amendment here, and you can download the petition to sign and share. Note the mailing address at the bottom of the page. Help for a Friend Board member Mitchell Stollberg has been diagnosed with leukemia. His friends have set up a GoFundMe pageto help raise money for a $6000 deductible that Mitchell must pay to receive chemotherapy. Mitchell's minimal health policy won't cover these life-saving treatments. This is the reason we must expand Medicaid! Please donate if you can. The Florida Progressives PAC is a means of helping progressive Democrats win through small donations. There will be municipal elections in at least four counties where we have local chapters, as well as special Florida House elections in three districts. The PAC needs to raise $5000 in the next few weeks to help the progressives that are running. Donations can be made here. Also, the PAC will host an event on Friday evening before the conference. Please email me for information about sponsorships. 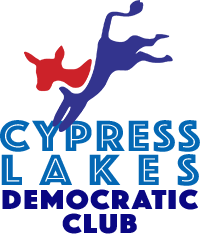 Many local Democratic organization are providing candidate trainings in the coming weeks. Anybody interested in running for office, even if you have run before, should attend. You would be surprised how many candidates have never learned or need to re-learn the basics of campaigning! Also, the Progressive Change Campaign Committee will host a training in Orlando in July that we highly recommend. You must apply to attend. More information can be found on the PCCC website. 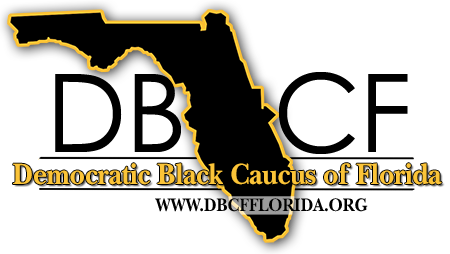 Save the Date for Lobby Days Depending on interest, the DPCF is will join the LGBTA Democratic Caucus in Tallahassee for Lobby Days on March 25-26. 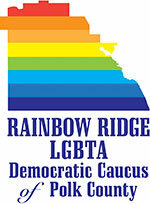 Training will be on Monday, March 25th and legislative appointments will be made for Tuesday, March 26th. If you would like to participate, please let me know ASAP for planning purposes. Thank you for your patience in getting to the end of this email. More is coming soon!